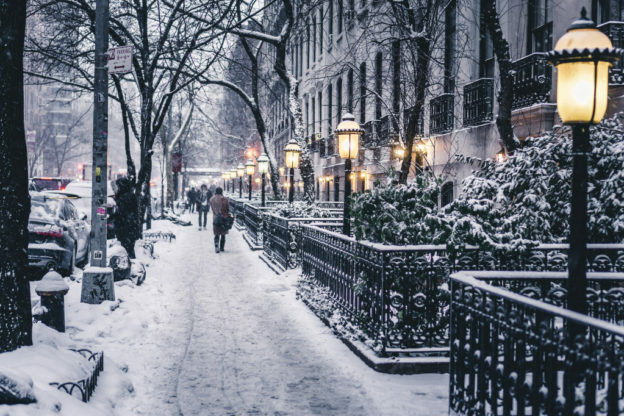 Snowy and icy winter weather brings on an increase in slip and fall accidents, especially among senior citizens in New York City. According to the New York State Department of Health, falls are the top cause of emergency room visits, hospitalizations, and injury-related deaths among people over the age of 65. The prevalence of the slip and fall accident is on the rise in our state too, with 304 ER visits, 143 hospitalizations, and three deaths – all due to falls – among seniors each day in a recent year. Here why the risks of slip and fall accidents among29 the elderly are so great and how you can protect yourself or a loved one this winter. Based upon National Council on Aging statistics, at least one in four Americans over the age of 65 falls each year. A senior is treated in an ER for a fall in America every 11 seconds, and a senior dies from a fall every 19 minutes. In New York City, fall prevention is a priority, and city-wide initiatives, like Age-Friendly NYC and Take Care New York 2020, are aimed at reduce falls among our elderly population. Falls can occur anywhere for senior citizens, both inside and outside the home. While at home, seniors are most likely to have a slip and fall accident in the bathroom because of the wet and slippery conditions here. Outside the home, senior falls are very common at grocery stores, driveways, sidewalks, public parks, and even in hospitals. Certain risk factors, such as bodily weakness, vision problems, and taking medications that affect balance, put seniors at greater danger for falls. Slip and fall accidents take a serious toll on the body, especially on aging bodies that are already fighting against other medical conditions. Many seniors break or seriously injure their hips and knees from falls because of the impact on the joints. Seniors may break or strain wrists or fingers while trying to catch themselves from a fall, and they may hit their heads while trying to regain balance and subsequently suffer a concussion. To help prevent these type of injuries, seniors can practice strength and balance exercises, schedule regular medical checkups, and install railings and grab bars to make the home safer. If a slip and fall accident occurred on someone else’s property, you or the senior your love could be entitled to compensation for injuries sustained. After a fall, you may need an experienced slip and fall accident attorney to help decipher premise liability laws and apply them to the senior’s situation. At the Law Office of Jeffrey K. Kestenbaum, we specialize in holding negligent property owners and managers responsible for keeping their premises clear of snow and ice and safe for seniors to walk on. Since there is only a limited amount of time to file a premise liability claim in New York, call us at 718-237-5586 for a free legal consultation if you believe you or a loved one has been a victim of a property owner’s negligence. This entry was posted in Brooklyn Slip & Fall Lawyer and tagged slip and fall lawyer on January 29, 2019 by Jeffrey K. Kestenbaum.